Melissa Renee’s thoughtful series about Mr. Bennet and the Entailment touches upon an important issue of Mr. Bennet’s pushing his responsibility for his family onto the next generation, instead of actually taking the effort of securing the future of his wife and daughters. 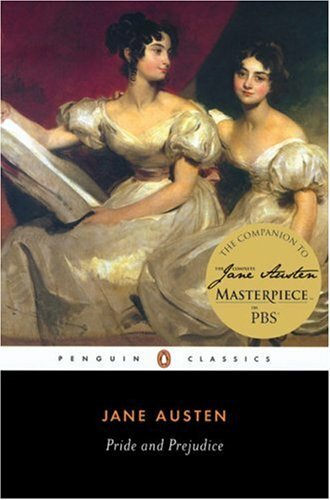 Moreover, in her second post in the series she points out that if he saved only Ł100 a year, that is one twentieth of his yearly income, he’d arrive at extra Ł2,300 for his daughters by the beginning of Pride and Prejudice. That got me thinking, and actually it’d be even more. If he saved Ł100 a year but didn’t use the interest, after the first year it’d be just extra Ł4, but if he left it in the bank the interest would grow and bring additional percentage from interest. Year 1 would give Ł104, year 2 – Ł212.16, year 3 – Ł324.6464, and so on, until year 23 when it’d give Ł3,808.26. That’s more than half of the Ł5,000 the Bennet ladies are going to have. Yet there was an even better method of saving available to him. Mrs. Bennet brought Ł4,000 in her dowry, to which Mr. Bennet agreed in the marriage articles to add Ł1,000. I don’t think that for a bachelor with Ł2,000 a year it was a big issue at that point. It was his wife and many daughters who considerably added to his spendings, so presumably he could have that much saved already. When they married there was only him and his wife, and Ł2,000 a year is enough for two. Then, when girls were little, they still weren’t much of a cost. It wasn’t as it is today when kids cost a lot because of napkins, special food etc. Back then it cost very little to pay for laundry, a nurse and a bit of nutrition. Only when they grew the cost would grow along with their dresses and tutors. Mr. Bennet calculated that Lydia alone cost him Ł90 a year. But at the beginning it was enough to not spend more than Ł2,000 for his wife and himself. He could have simply put the Ł5,000 settled on his wife on percent and let the percent accumulate as well. Already after the first year he’d have extra Ł200 from the 4% the Ł5,000 would bring. After two years it’d be Ł5,408, after three – Ł5,624.32, and after twenty three – Ł12,232.58. The extra Ł7,232.58 is how much Mr. Bennet could have saved by simply doing nothing, and yet he hasn’t done even that! Ł12,232.58 would be more than twice the sum the Bennet ladies are going to have after he dies. It’d be over Ł2,000 for each, including their mother, while now they are going to have Ł1,000 each only after their mother dies. Note that when Mrs. Bennet, displeased with Lizzy’s refusal of Mr. Collins, threatens her that she won’t take her after Mr. Bennet dies, she knows what she’s speaking of. The entire Ł5,000 is hers. Only after her death her daughters would really get anything. Five thousand pounds was settled by marriage articles on Mrs. Bennet and the children. But in what proportions it should be divided amongst the latter depended on the will of the parents. So even whether Lizzy would get her 4% from the Ł1,000 that presumably would be hers one day, depended on her parents’ will. If they didn’t accept her choice of husband, or if Mrs. Bennet was left destitute by her own husband Lizzy could get nothing, because Mr. Bennet saved nothing for her or her sisters. The only person who took care of his daughter in all of this was Mrs. Bennet’s father. I like your point that Mr. Bennet has done less than nothing for his wife and daughters, he might have even been able to add some sort of automatic savings clause into the marriage articles. I’m presuming that the money settled on Mrs. Bennet was in some sort of trust, they could have said that x% of the interest goes right back into the trust before whoever is administering it gives them the money, but that would have required thinking ahead. I would really like to know what exactly they were spending their money on, it certainly wasn’t trips to town or their daughters’ educations and neither Mr. or Mrs. Bennet appears to be a gambler. Books and lace maybe? I think that men were simply getting the money, and they could use them as they pleased, only they had to have them when there was time to pay. It seems that Sir Walter Elliot spent his daughters’ for example, while Eliza Williams’s dowry was used for repairing the Brandons’ budget. The only person who would insist on any kind of clause was Mrs. Bennet’s father, because Mr. Bennet simply had what he did, and what wasn’t entailed was his to do with it whatever he wanted to. He could leave it to his daughters, or a nephew etc. Only that, well, he doesn’t have anything. There’s also the fact that they were generally marrying to enlarge their own fortunes, so if Mr. Bennet did have a son most likely much from the Ł5,000 would go to him, and only smaller portions to his daughters. Or at least that’s what happened in many cases. Yes, books and lace, lol, and expensive dinners. Yes, one of Mr. Bennet’s extravagances was books. He enjoyed an extensive library, which included expensive folios, such as the one Mr. Collins handled. Had Mr. Bennet ordered fewer books for himself and set aside some of that pocket money incrementally in an investment account for his wife and daughters, he could have amassed a small fund for them that would have helped to supplement Mrs. Bennet’s meager marriage portion of Ł5,000. Readers tend to like Mr. Bennet, but he is a bit too lazy and self-serving to my way of thinking. I think Jane uses his biting wit to good effect, but she’s also fearless in showing his weak underbelly. I think that the reason readers like Mr. Bennet is because on the surface he appears to be the better parent because he is the more intelligent parent and Elizabeth has a better relationship with him than she does with her mother. It isn’t until you start thinking about his character that you realize how lazy he is and that he could have acted to mitigate the potential harm to his family. Thank you for your comments, Vic and Melissa. You’re both right. Readers tend to not see Mr. Bennet’s flaws. I think that the most important thing that many don’t realise is that after Hunsford Lizzy changes her attitude to her father. We too are supposed to begin to see him in a new light. It’s not only the Wickham-Darcy antagonism that we need to revaluate in order to get rid of prejudices towards Darcy, but also Mr. Bennet-Darcy in order to really appreciate Darcy’s character. He’s not a man who’ll find pleasure in humiliating his wife in front of her children, or leave her penniless. While appreciating Mr. Bennet’s wit like every other PP reader, I’ve never truly liked him. When one considers that upon his death his children and his wife will be left without enough to sustain 6 women, not to mention, find somewhere else to go, one can’t help but see, Mr. Bennet for the lazy thoughtless man he truly is. In many ways, I can more easily forgive Mrs. Bennet her silliness due to her weak understanding, but how do you forgive the intelligent Mr. Bennet for his unrelenting carelessness? At least Mrs. Bennet is trying to secure the girls future, sure she goes about it all wrong, but she at least has given the matter more than a passing thought unlike Mr. Bennet. Even after their situation is made clear after Lydia’s disgrace, Mr. Bennet is still most eager to have the matter settled by others and return to the way things were. Mr. Bennet is as much a villain as Wickham in my opinion, the only difference, he is funny. Yes, I think that Wickham is for Darcy to deal with, but Mr. Bennet is Lizzy’s villain. Her early attitude to Darcy has a lot to do with her father’s example. Austen painted characters with flaws, and sometimes the faults of those we like are much more harmful than those of the characters we dislike. That’s why one really should try to read the book in an unbiased way. I think that when Mr. Bennet tells Lizzy that he’s happy it’s Darcy who dealt with Lydia and Wickham because he won’t have to pay him back she’s really ashamed. It’s such a moment that makes one cringe. And I don’t really think he’d ever repay Mr. Gardiner either.